It’s hard to know what aspects of Consolata Pennay’s family memoir, "Ottavia’s Family," is the most remarkable. It certainly would be easy to say that it is her mother’s story. The book is named for her. Yet, there’s much more. For instance, there’s the pioneering spirit of the whole family, the struggle to stay Catholic and Italian in a deeply foreign culture, and the remarkable achievements and lives of the parents as well as each of the children. 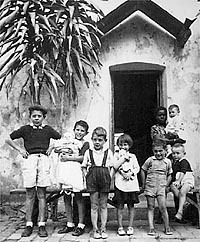 Ottavia Viglietti bore six children in Italy before immigrating to East Africa in 1950. There, she and her husband, Mario, added five more to their brood. Struggling to stay afloat, they worked hard at farming, and other endeavors. Twelve years later, after East Africa became unsafe for Europeans to live in, the family moved to Cape Town. Along the way the children were sent to a grim convent school where they were taught in German by Swiss nuns, spoke Swahili, learned to hunt big game and survived various adventures. Pennay, the seventh of Ottavia’s children, now lives in Ketchum, where she is married to piano player and lodge owner Alan Pennay. Their long distance romance is one of the many gems contained in this self-published tome. Both her parents are deceased, so Pennay interviewed her many Italian relatives to flesh out the story of her family. "I was always interested in my mother and father’s histories. Maybe because I was the first child born in Africa." Of Ottavia’s 11 siblings, five of her sisters are still living in Turin, Italy. Pennay was able to interview them, and she also spoke with an aunt who is the only surviving member of her father’s family. While researching her parent’s lives, Pennay came across a diary that her mother had written while in Africa. She also interviewed each of her own siblings, all of whom were supportive of the idea of a memoir. All but one of her siblings still live in South Africa, and together they run a successful Ferrari business, Viglietti Motors. Her sister Annie moved to Boise with her family several years ago. "Because the boys are in business together, the ties remain very close. We’ve always been very close knit. It’s only distance that separate us." There is self-possession in her story telling, a reverence for her parent’s travails and deeds, and a love for her family that is tangible throughout the book. The first part of the book is from her mother’s point of view, the second half is from her own. "I wrote the book for my nieces and nephews. They knew so little about their grandparents." In fact, because her parents both died before any grandchildren had been born, "They were only exposed to their South African relatives. I felt they needed to know this. That’s why I did this and I feel I’ve achieved my goal for them," Pennay said. It’s also a story rich in fascinating locales—from Turin to Venice, where they boarded a steamer for Africa, to the small towns they lived in while in Tanzania to Johannesburg and, finally, to Ketchum, Idaho. 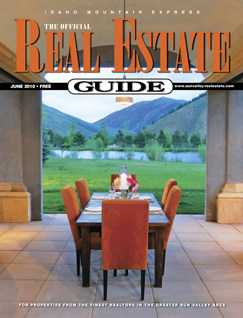 There is a book signing, Thursday, June 20, with the author in the Sun Room at the Sun Valley Lodge from 4 to 6 p.m.